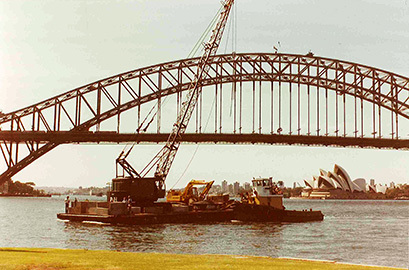 Founded by the late Peter Ward, Ward commenced its operations in 1973 as Bass Civil Engineering, undertaking deep excavation and shoring contracts in the Sydney CBD. Major projects in the 1970s included Westmead Hospital (1974 – 1979) and diversion tunnels in Mangrove Mountain (1978). In 1979, Bass Civil Engineering changed its name to Ward Civil Engineering. In the 1980s, Ward underwent a rapid expansion, undertaking major civil engineering works as the head contractor for many Government departments and private clients. In 1980, we opened our first Newcastle office to better service BHP and other clients in the central coast area. Major works were undertaken at Parliament House Canberra (1984 – 1992), Darling Harbour & Circular Quay (1985 – 1988) and World Square (1987). During the 1990s, Ward continued as a contractor specialising in civil engineering projects for a large number of both private and Government clients and expanded its operations to include marine works, remediation and specialist works. Ward completed a number of high-profile projects during the 1990s, including works at the Sydney Olympics precinct (1992 – 2000), Caltex Refinery (1994), the Cadia Mine in Orange (1996) and the M5 shafts and roadworks (1999). By the 2000s, Ward had developed strong capabilities in civil engineering, remediation, ground engineering and plant hire. It was during this decade that the business came to be known as Ward Civil & Environmental Engineering. 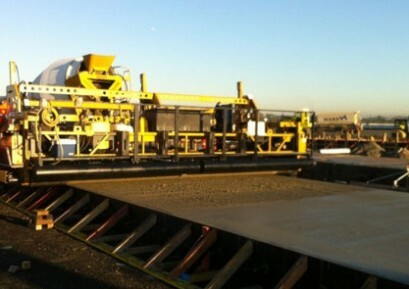 The 2000s also witnessed Ward demonstrate its capabilities in airport pavement and ancillary works, an area which it continues to perform as a preferred contractor today. A large variety of works were carried out at Sydney Airport in this decade. Additional major works undertaken during the 2000s included works at the ANSTO Reactor at Lucas Heights (2002), Erskine Park for Bluescope Steel (2006), the SCG Hill Grandstand (2007), the Greystanes SEL Development (a JV with Burton Contractors) (2007), Hallet Wind Farms north of Adelaide (2009) and Royal North Shore Hospital (2009). Unfortunately, the 2000s also saw the passing of Ward’s founder – Peter Ward – in 2008. 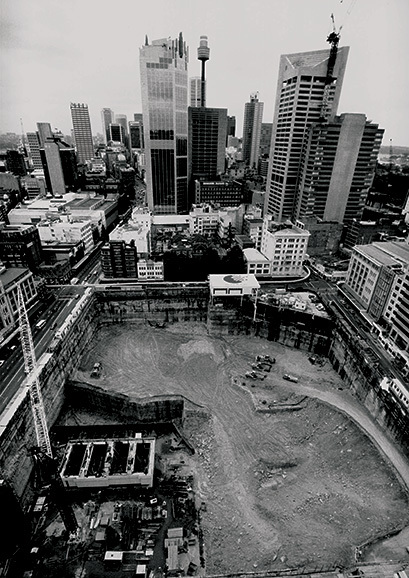 At the time of Peter Ward’s passing, Ward had transformed from its Sydney CBD excavation beginnings to a diversified civil and environmental engineering service provider. Still majority owned by the Ward family, and capably led by CEO, Julia Ward, Ward still prides itself on its traditional values and strong client relationships. Ward’s current focus is on civil infrastructure including roads, airports, ports, bulk earthworks, structures, ground engineering, contaminated land remediation, and general civil works. 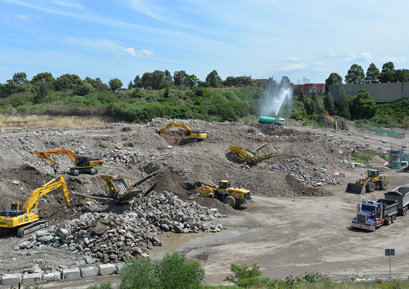 Recent high calibre projects completed by Ward include extensive works at Sydney Airport, works on the Great Western Highway for Roads and Maritime Services, works at St Peters Landfill for WestConnex, at Stockland Shellharbour for Brookfield Multiplex, works for Newcastle Coal Infrastructure Group, Wynyard Walk for Thiess, and design and construct for Pittwater Council. With a clear growth plan and well defined company strategy, we are looking forward to our ongoing evolution.